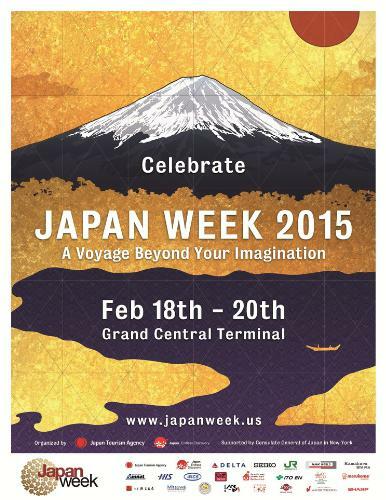 Japan Week is back in New York City’s Grand Central Terminal’s Vanderbilt Hall on February 18-20, 2015, featuring ticket giveaways and specials from travel companies. HOKURIKU SHINKANSEN – Beginning for the first time this Spring, a new bullet train will connect Tokyo and the Hokuriku region in 2 – 2 ½ hours. Famous for its authentic Japanese traditions, picturesque mountains, skiing, seafood, crafts, and resorts, Japan’s Hokuriku region is a remote paradise that’s never been easier to access. DEPACHIKA FOOD EMPORIUM – Feast on sweets from nine regions across Japan and sample additional authentic Japanese eats including ramen noodles, mazemen noodles, miso soup, green tea, tofu, and takoyaki octopus balls. CASTLES AND HOT SPRINGS – Japan’s castles were once the homes of royalty and now destinations that will make you feel like a king. Onsen are traditional hot springs said to have restorative powers. Learn about both and how to take a trip back in time. LUXURY WEDDING KIMONO – Japanese kimono are works of art and wedding kimono are some of the most beautiful and ornate. This year, three different New York couples will present the first ever wedding kimono fitting live in Grand Central. TICKET GIVEAWAYS AND SPECIALS – Japan Week offers New Yorkers multiple chances to win free tickets to Japan from Delta Air Lines, and all attendees can take home specials from Japanese travel companies and free guides to a wide range of Japanese destinations. More information on Japan Week’s events, exhibitors, giveaways, and activities will be revealed at www.japanweek.us, and for all the latest details, follow on Facebook and Twitter. Last year was a record year for tourism in Japan, with over 13,000,000 traveling to the country from around the world, and Japan Week plans to make 2015 even bigger. Japan Week is organized by the Japan Tourism Agency and Japan National Tourism Organization. Its sponsors include Delta Air Lines, Seiko, NHK World, JR-EAST, Amnet, Beard Papa, HIS, House Foods, IACE, ITO EN, the Japan Sake and Sochu Makers Association, Kamakura Shirts, Marukome, Minamoto Kitchoan, Sharp, Sun Noodle, VIZ Media, and Watabe Wedding. Famous Japanese characters Doraemon and Domo will make special appearances and pose for photos with fans. Founded in 2012, Japan Week is a promotional event encouraging travel to Japan. It is a cooperative effort between the Japan Tourism Agency, Japan National Tourism Organization, diverse businesses in both New York City and Japan, and local Japanese governments. 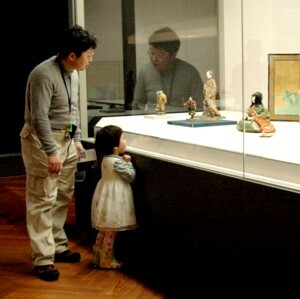 It is supported by the Consulate General of Japan in New York. Japan Week is free and open to the public and encourages New Yorkers to explore Japanese tourism through a wealth of materials on destinations across Japan and displays of traditional Japanese art, food, and fashion. 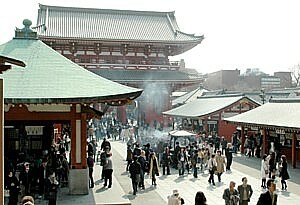 More information about travel to Japan can be found at www.japantravelinfo.com. 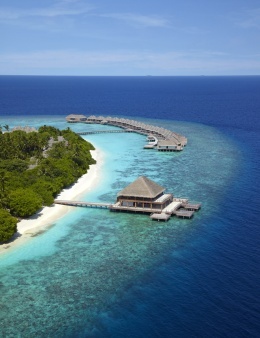 A leading Asia hospitality group, Dusit International, is rewarding its loyal social media followers with an opportunity to win a Dusit Thani Maldives vacation by participating in its ‘Dusit Dream Holiday’ contest. Participants may submit as many entries as they wish through any of the following channels: Facebook, Twitter, Pinterest, Tumblr or Instagram. Entries should include the #DusitDreamHoliday hashtag or tag Dusit International’s social account. Participants may also send in their photos via campaign@dusit.com. All photos submitted will be uploaded to the Dusit International Pinterest board at https://pinterest.com/dusithotels/. The three photos gaining the most likes and repins will be selected each week to qualify for the final round. The participant submitting the winning photo will receive a five-night Beach Villa stay in the luxurious Dusit Thani Maldives that features a private deck area and plunge pool, plus daily free breakfast and round-trip seaplane tickets between Malé and Dusit Thani Maldives for two. Dusit Internaltional media followers are invited to start clicking away for a chance to live the Dusit Dream this holiday season. More information is available at www.dusit.com/dusitdreamholiday. Surrounded by a vibrant 360 degree coral reef and turquoise lagoon, the new Dusit Thani Maldives is located on the beautiful Mudhdhoo Island in Baa Atoll, a UNESCO World Biosphere Reserve, in the Maldives, and comprises 100 exclusive villas and residences for retreat style relaxation. The resort also features three restaurants, two bars and the Dusit signature Devarana Spa along with a range of upscale amenities. 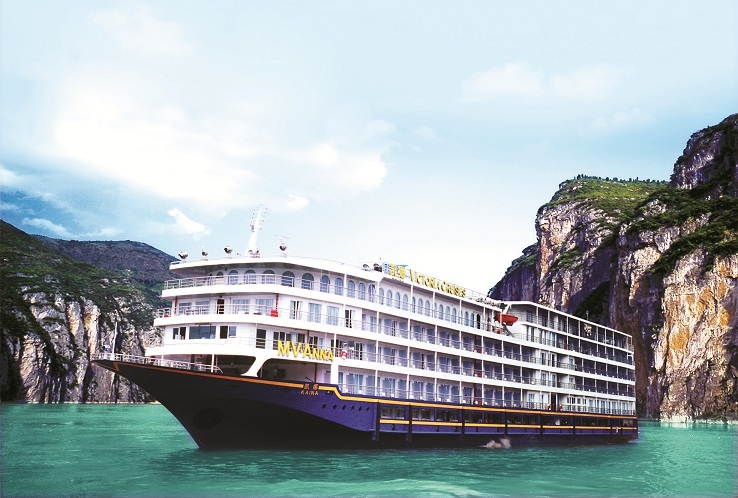 Dusit International has more than 60 years’ experience in the hotel and hospitality field. Founded in 1949 by Honorary Chairperson Thanpuying Chanut Piyaoui, whose first hotel was the Princess on Bangkok’s New Road, Dusit International has since acquired a unique portfolio of distinctive hotels, building upon Thai culture and tradition to create a personalized welcome for all guests made distinctive under the Dusit International brand promise; the delivery of an ‘experience that enlivens the individual spirit, no matter the journey’. Dusit International comprises four hotel brands: Dusit Thani, dusitD2, Dusit Princess, and Dusit Devarana. It also operates Dusit Residences and its own signature Devarana Spa.